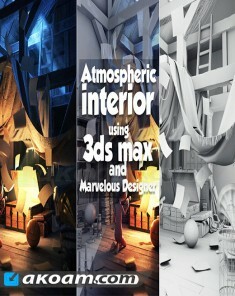 القيام بتصاميم أنماط أزياء دقيقة رائعة بدون أي مساعدة فنية من أي شخص أخر بجودة 3D للتصميم التفاعلي للملابس لتبدو بشكل حقيقي . You don ™t have to be a fashion designer. It ™s easy and simple. Our technology is based on the art of sewing and patternmaking (making the blueprint for a garment), which we believe is the only way to truly express the garment realistically. You don ™t need a fashion design background to create clothing using Marvelous designer. It is surprisingly easy and simple with our intuitive tools. Build your skills by mastering our online curriculum. Easy to use software that just makes sense. Designing “true to life” virtual garments is easy and straightforward with our intuitive user interface and tools such as arrangement points and pins. Marvelous Designer saves you from guessing how clothes should fit in real life. Textural coordinates are packaged along with your patterns for simple data translation and use. Edit textures, fabrics and physical properties via our preset library to accurately simulate onto your characters without costing countless hours. Augmented capability with your existing software tools. 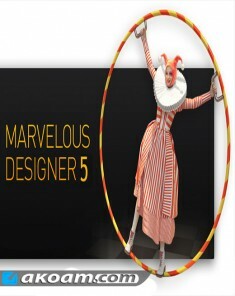 Across modeling and animation, Marvelous Designer can easily import and export data between software including Maya, 3DS Max, Softimage, Modo and ZBrush. Major game studios like EA and Ubisoft as well as the animated film studios behind Avatar (Weta Digital) and Total Recall (Double Negative) have taken advantage of our software ™s compatibility. You can add rich details onto garments ranging from shoulder pads to stitches. Bringing your characters to life doesn ™t have to take a lifetime. Traditional modeling and sculpting techniques require hours of work for each wrinkle, band, and fold and can ™t guarantee convincing results. Marvelous Designer ™s animation cache functionality with high-polygon modeling makes it possible to capture the realistic movement of clothing when draped onto moving characters whether they are running, jumping, or twirling in midair. data to be reused, revamped, and refreshed again and again. -Pattern Creation and Editing: Our expansive pattern design feature lets you easily create and edit rectangular, circular, or any other polygon shaped patterns. In addition, we provide intuitive interfaces such as moving point/segment in parallel/perpendicular fashion, moving point/segment via input value, or dividing a segment proportionally. -Segment and Free Sewing: Our simple and smart sewing tool makes life easier for users.You can easily create and edit seam lines with more freedom in sewing directions and range, accurate sewing has been extremely difficult to articulate in other 3D CAD software due to the limitations in its narrow directions and range. - [Fixed] [mac] The path is set to 'null' when reading path including Japanese and Korean. - [Fixed] [mac] 10001 error occurs while installing mac version when non-ascii characters are used in the installation path. - [Fixed] The width and height values of texture transformation of a fabric file made before 1.3.0.0 version is not loaded correctly on version after 1.3.0.0. - [Improved] The code has been changed to enable toggling the 'Spec Sheet Widget' to be shown on the only 'SPEC mode'. - [Fixed] The 'Undo' function doesn't work when doing 'Flip Texture Horizontally' and then putting another texture image.